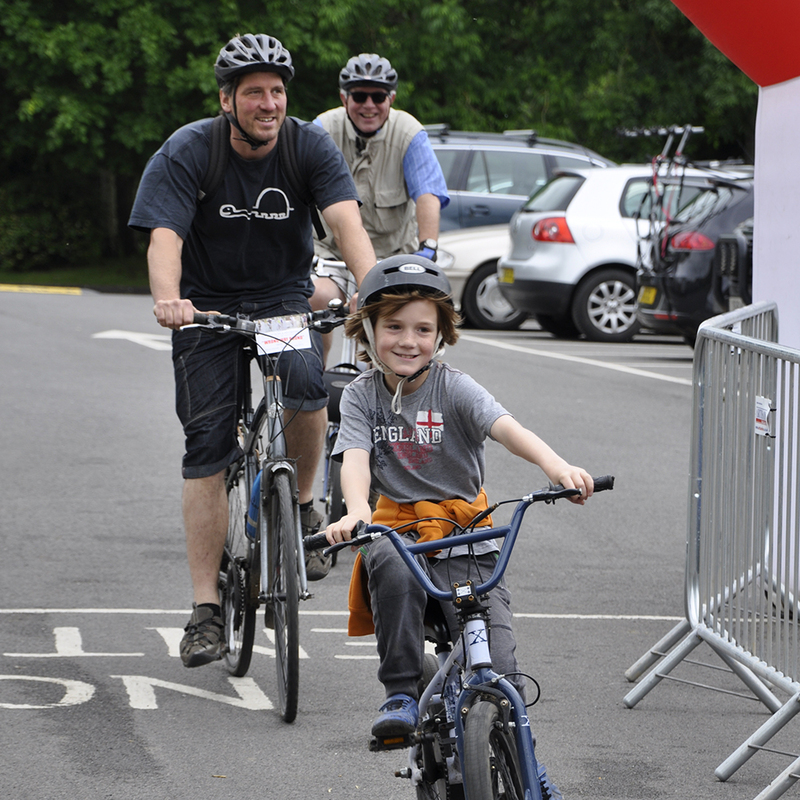 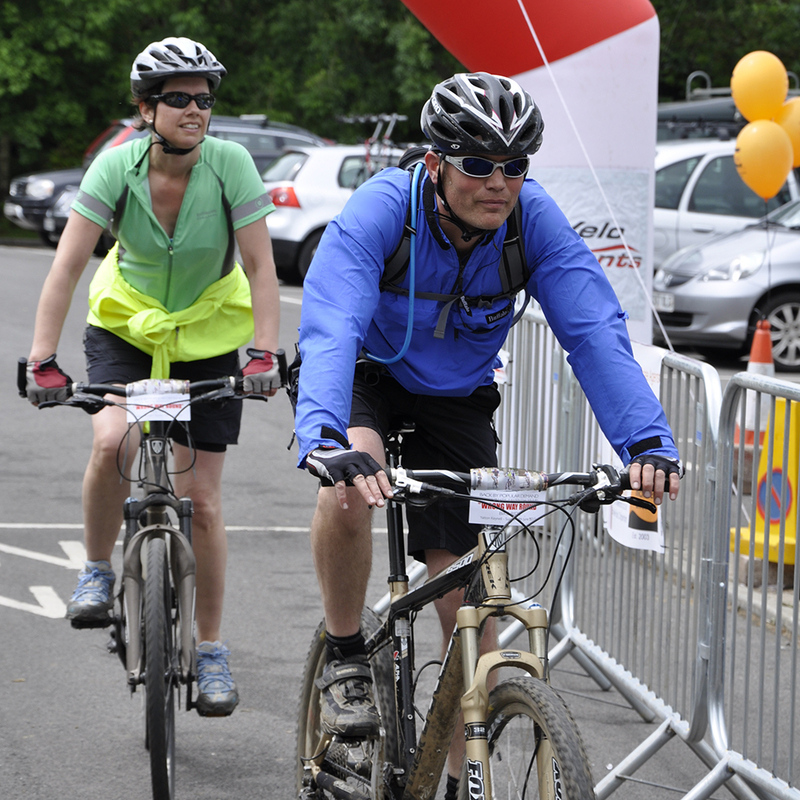 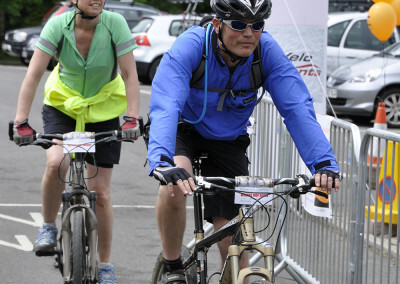 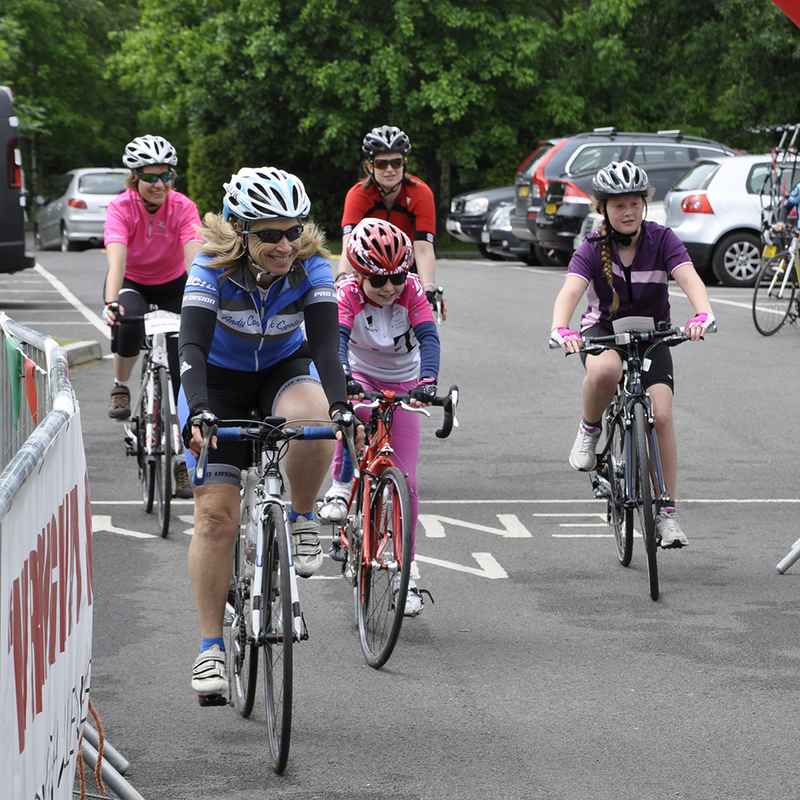 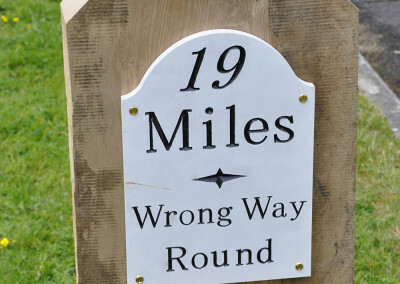 The Wrong Way Round Bike Ride is back for 2016. 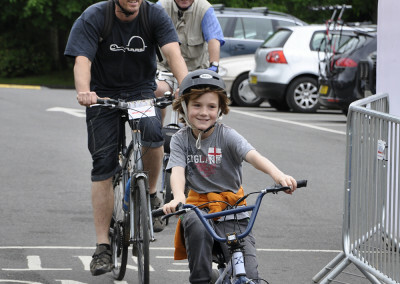 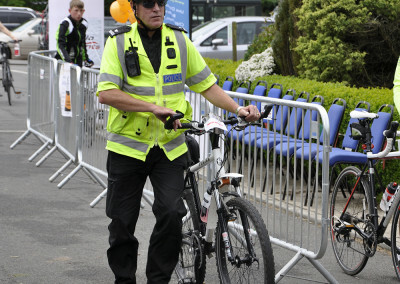 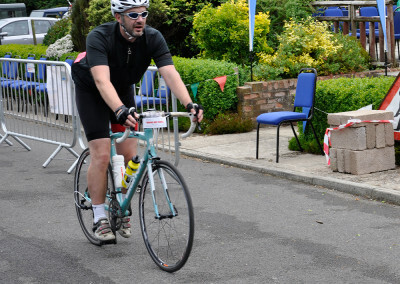 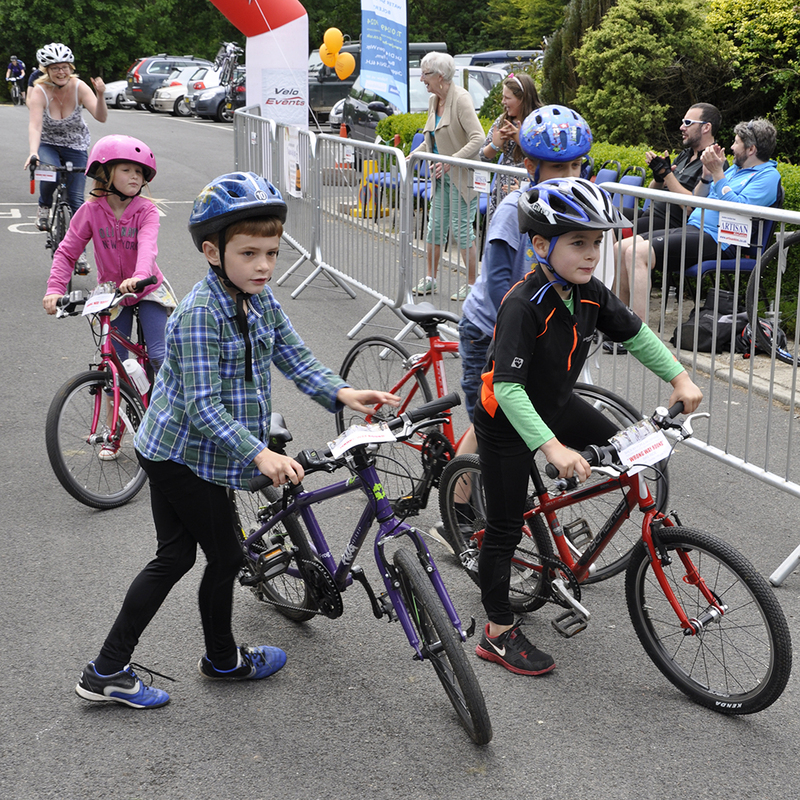 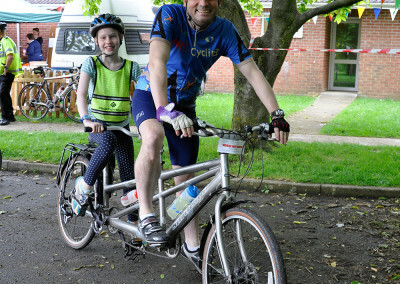 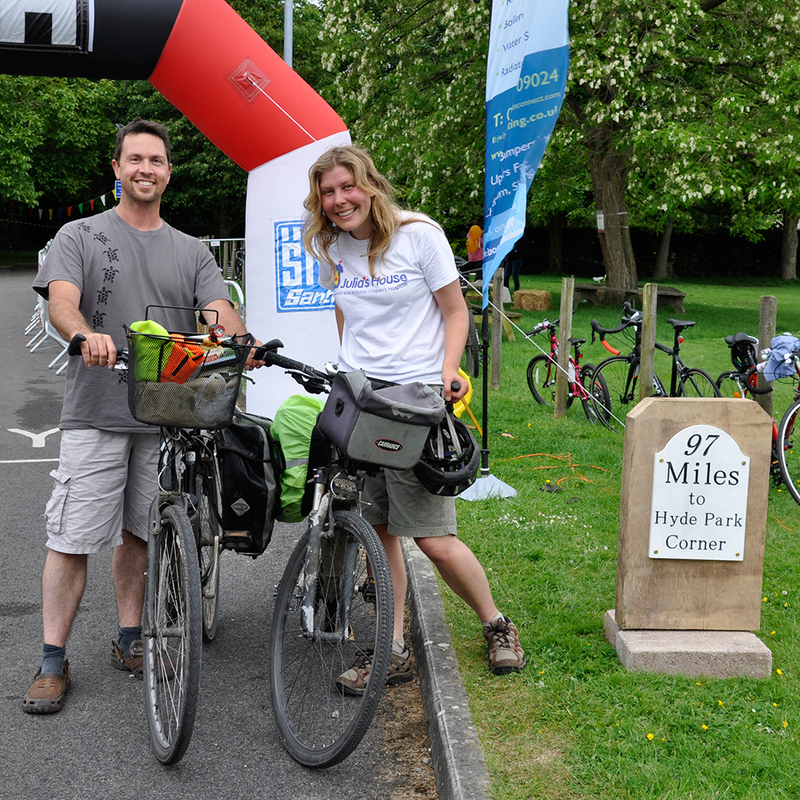 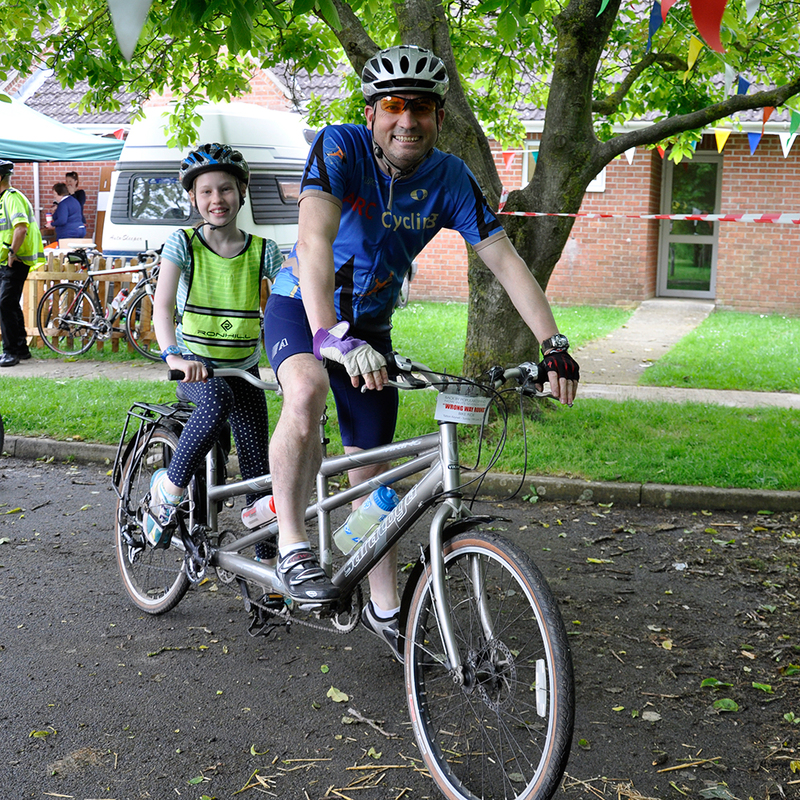 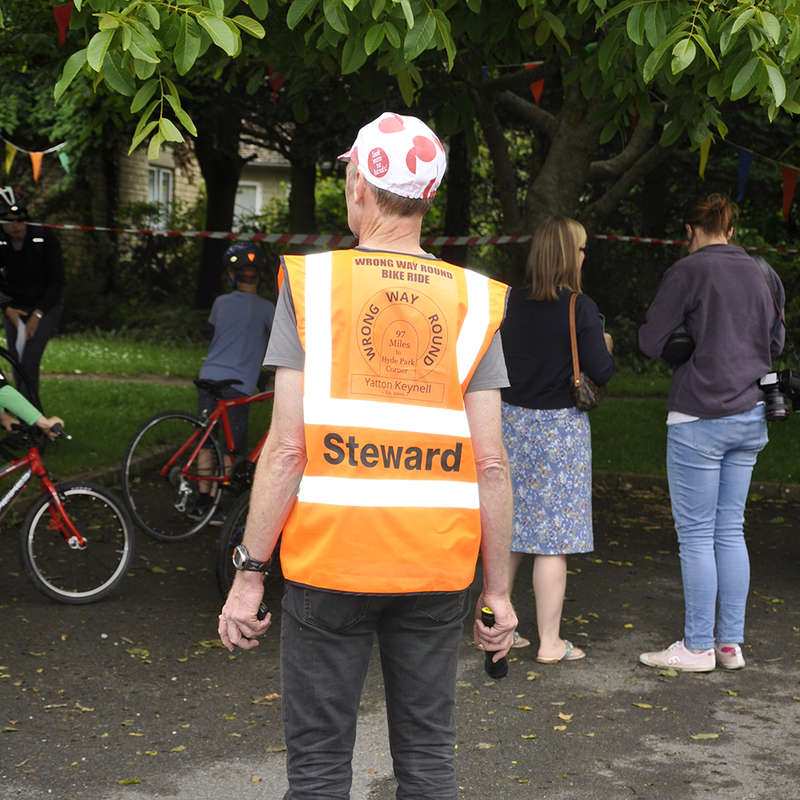 Now in its 8th year, the Wrong Way Round Bike Ride is a cycling event for the people of Yatton Keynell and the surrounding villages, and anyone else with a connection to our area. 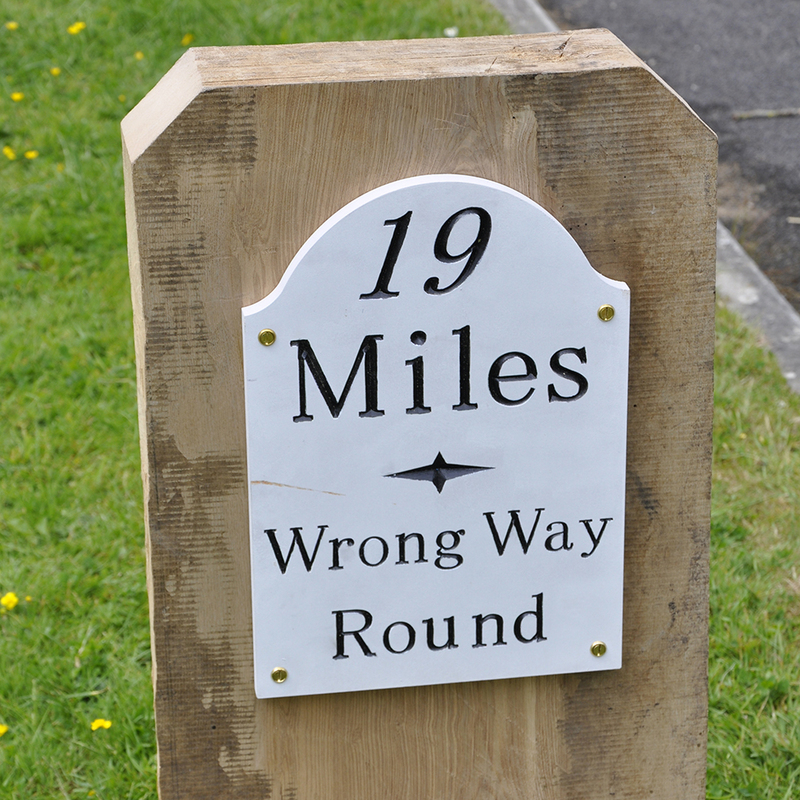 Full details of the two available routes, entry forms and everything else you need to know is available on the Wrong Way Round website. 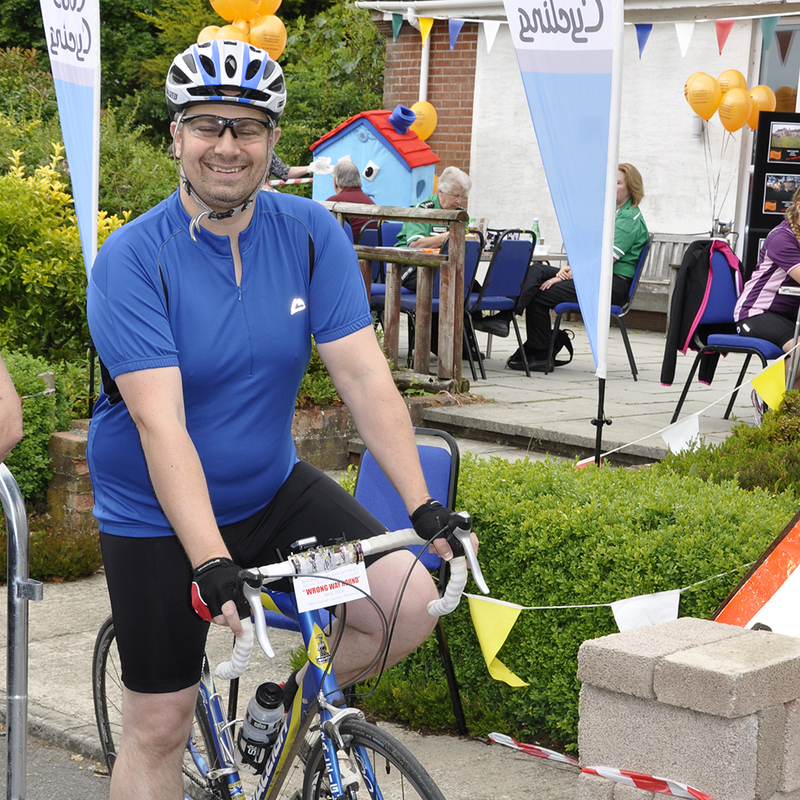 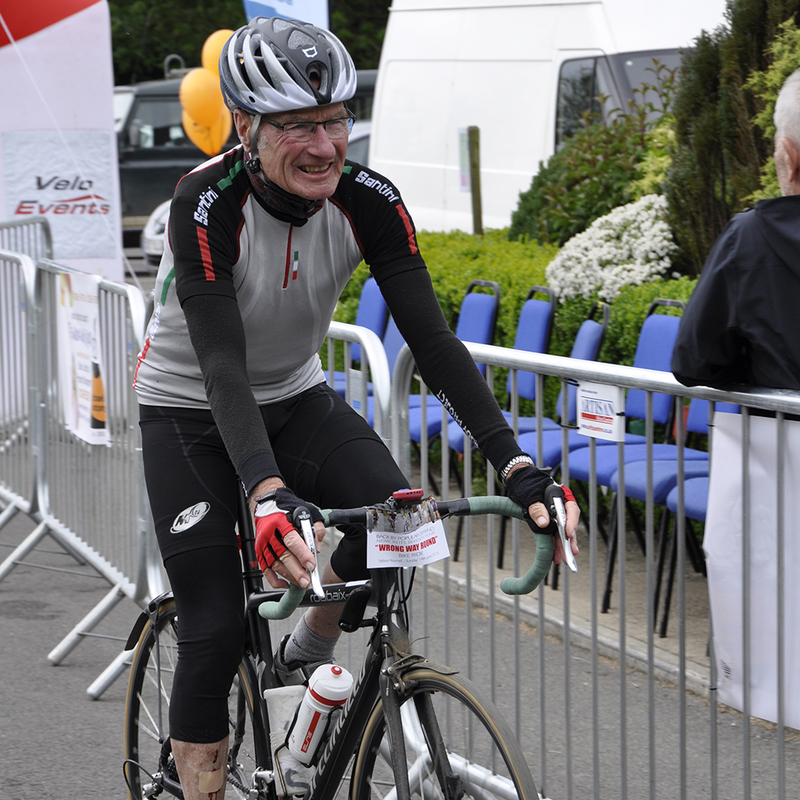 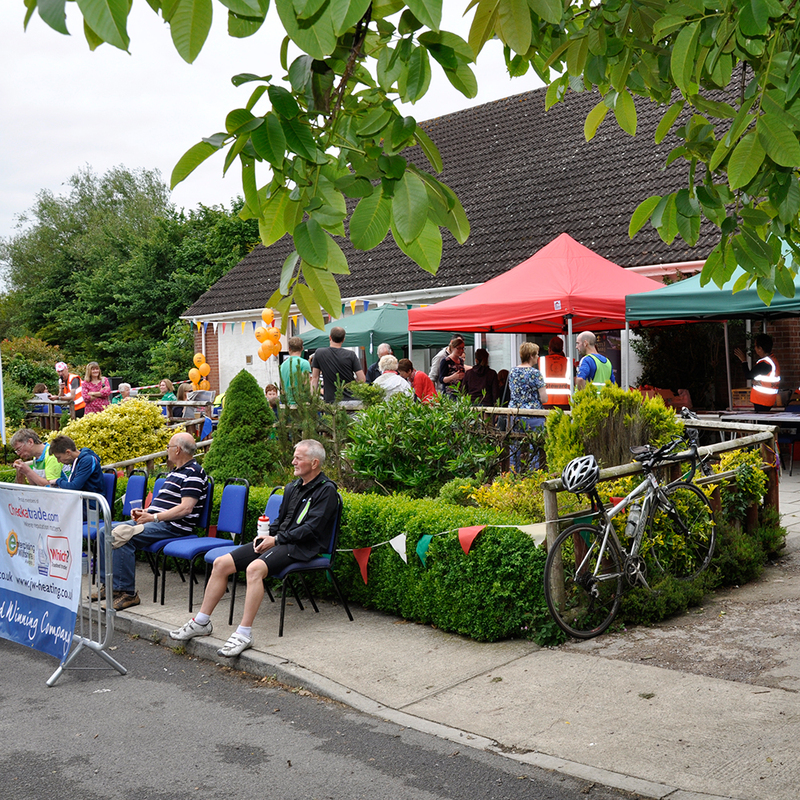 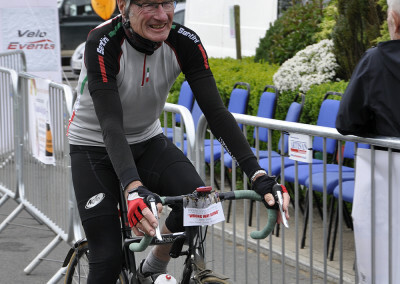 In 2015, over 200 spectators and supporters gathered at Yatton Keynell village hall to cheer on the riders and welcome them home at the finish. 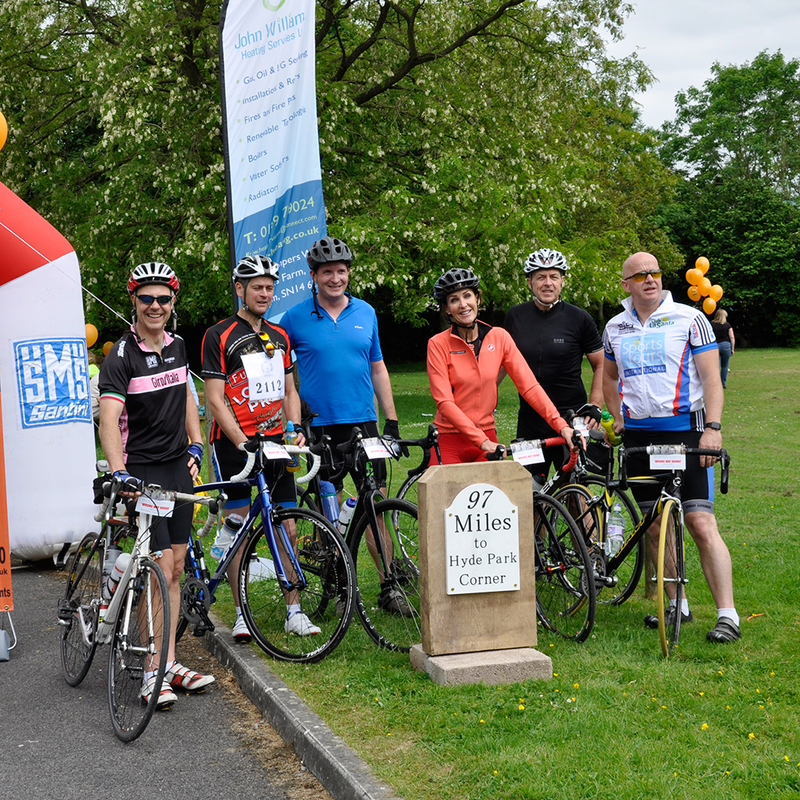 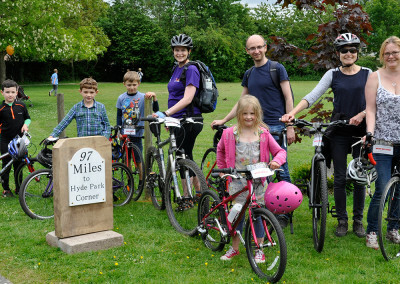 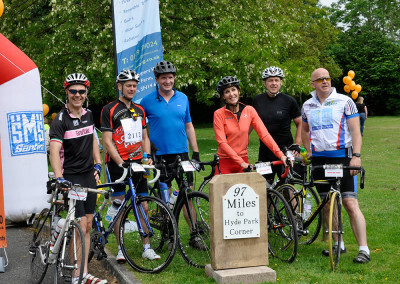 For some cyclists the day began at 5am, with around 15 hardy souls leaving Hyde Park Corner, heading for Yatton Keynell, a challenging ride of 97 miles – the distance made famous by the iconic village milestone. 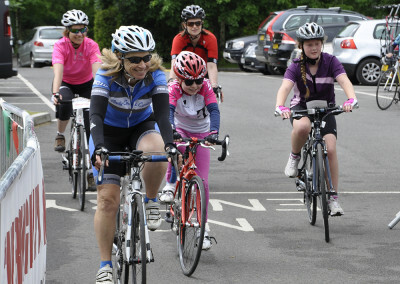 They were joined en-route by several other riders opting for a shorter A4 variation. 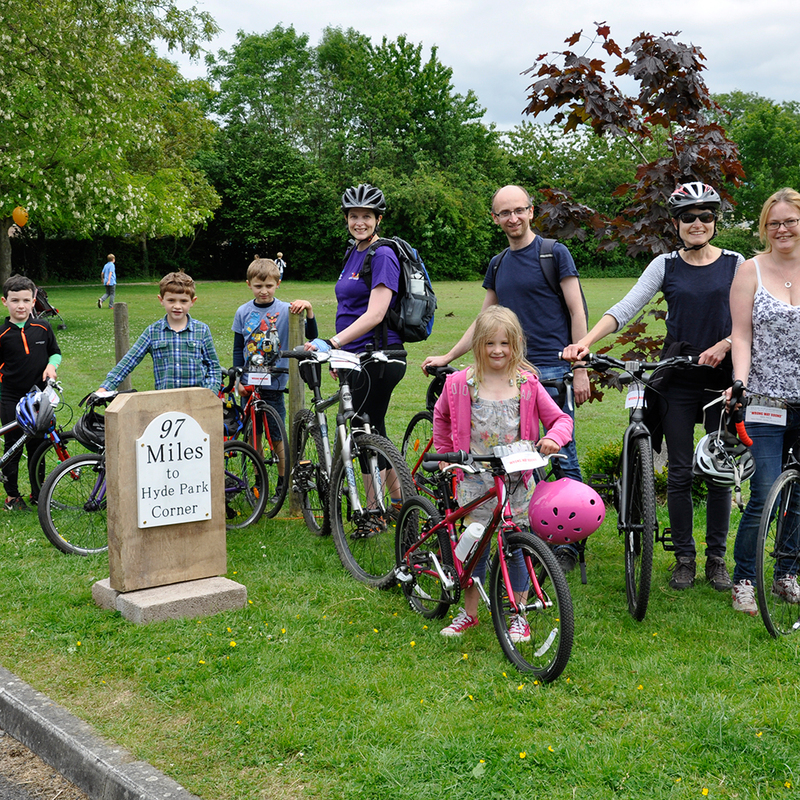 Meanwhile, at a slightly less daunting hour, 115 cyclists enjoyed the relaxed 19-mile loop on country lanes around Yatton Keynell. 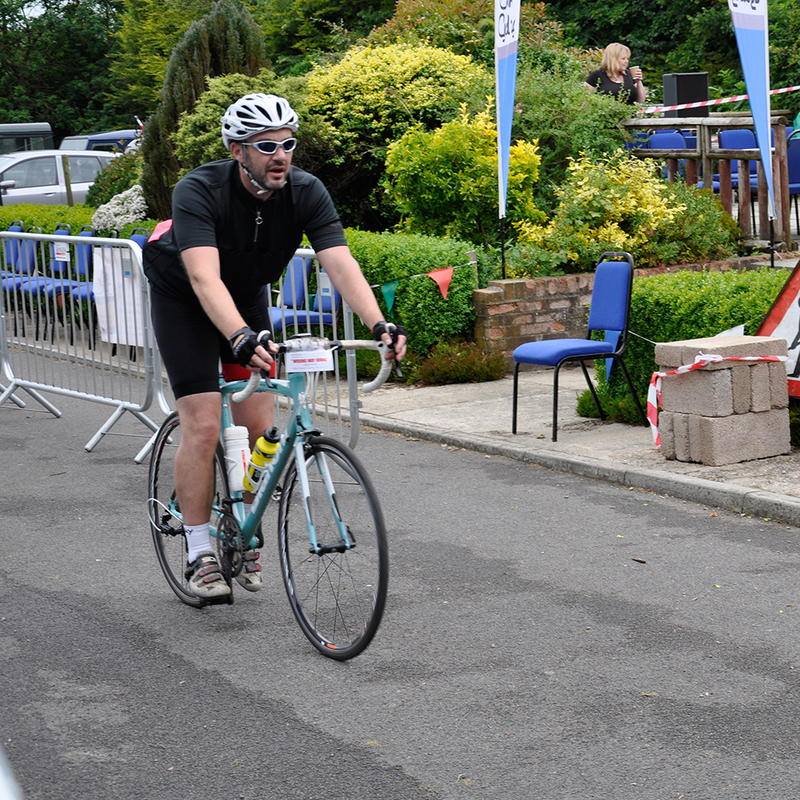 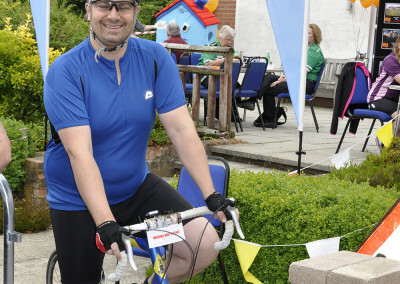 Some regular cyclists worked up a sweat by completing five laps (almost equivalent to 97 miles), while other participants simply enjoyed a one-lap tootle, or the –n-between option of two or three laps, stopping for lunch or tea and cake at the village hall before continuing. 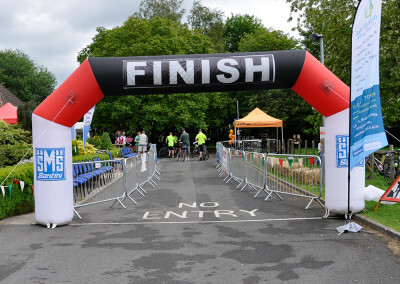 The organisers extended their thanks to local companies for supporting the event, including Michael Antony Estate Agents and John Williams Heating for sponsoring the barriers and finish arch, Ripe Digital for the posters and publicity, and Eventimate Sound & Vision for the PA. 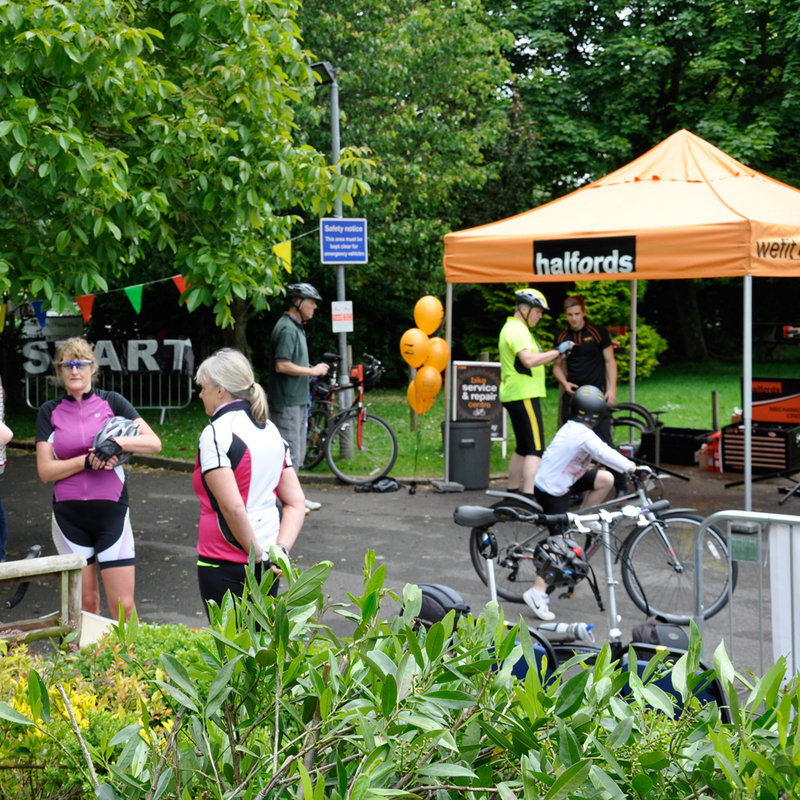 Behind the scenes, Bybrook Design & Development and The IT Guy provided technical support, and Halfords Chippenham store provided two mechanics to keep everyone rolling smoothly on the day. 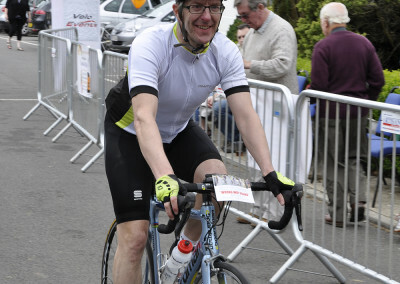 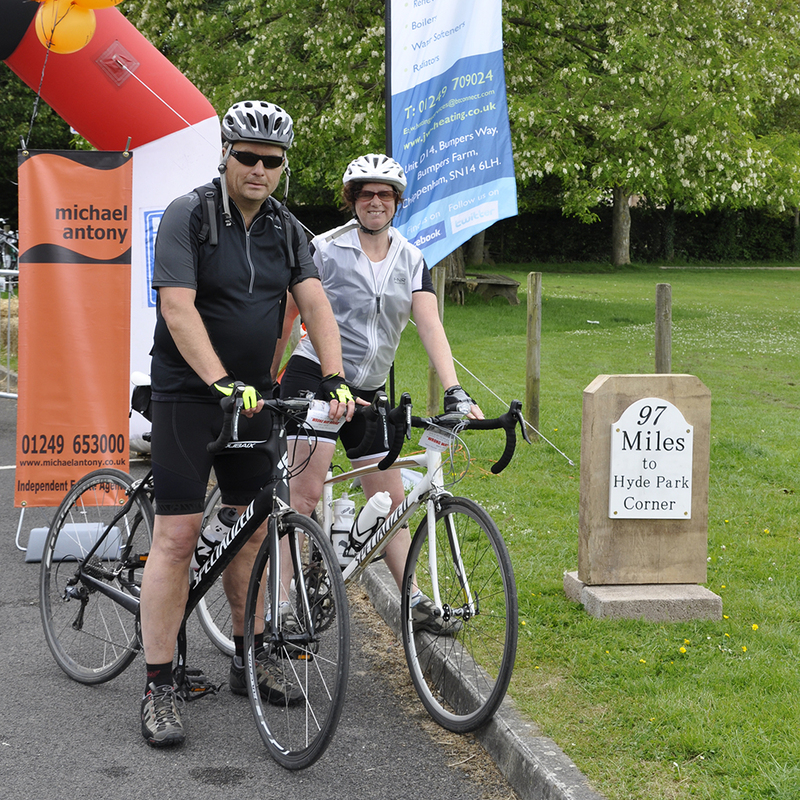 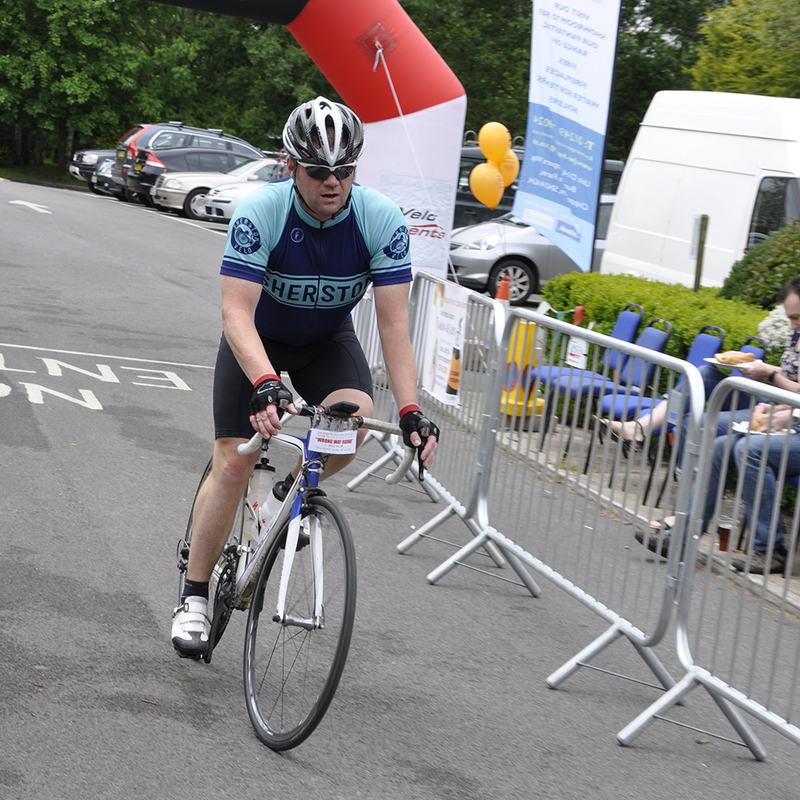 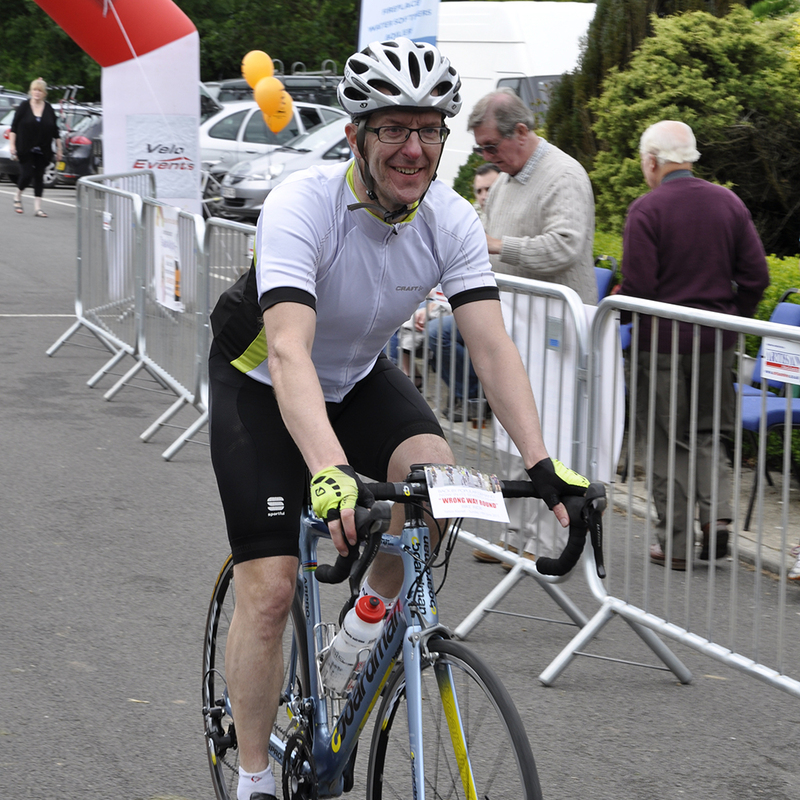 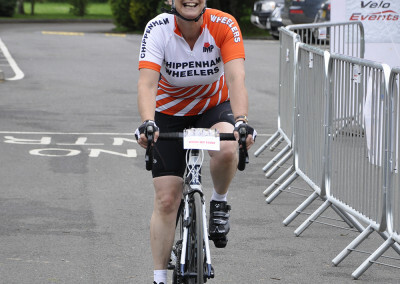 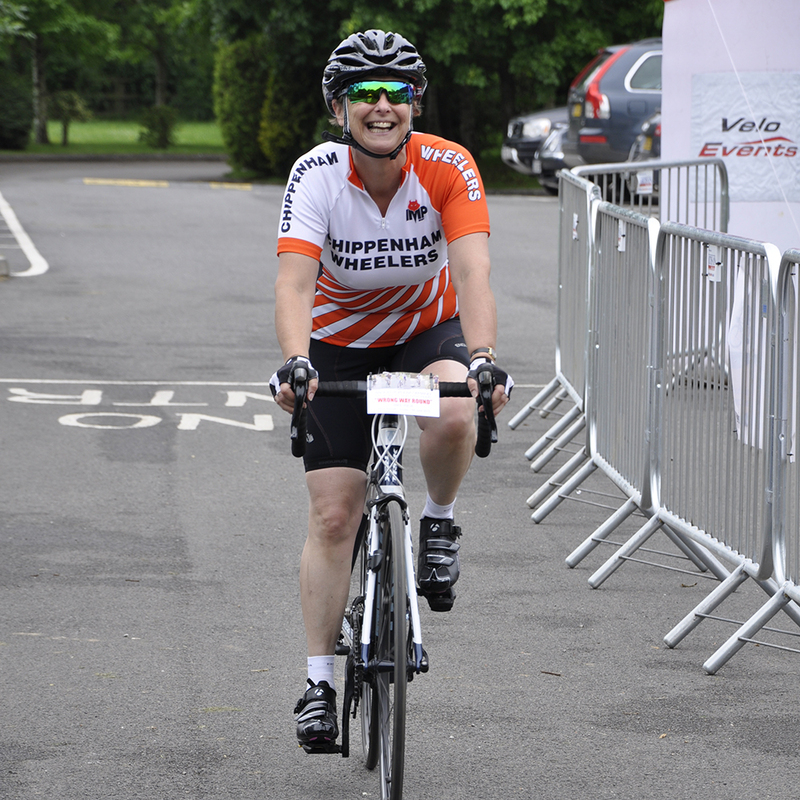 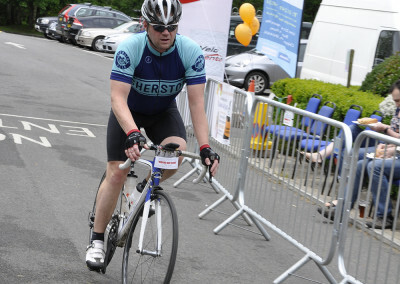 Other key sponsors were Andy Cook Cycling (logistical support), Sarah-Jayne’s Café, Chippenham (food supplies), Phillips Car Bodywork (transport services), Castle Combe Brewery (refreshment services). 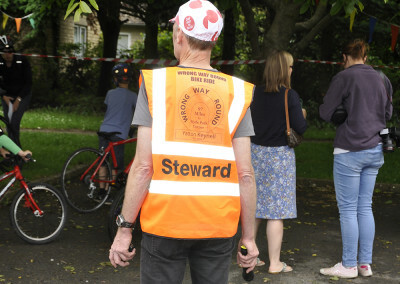 The organisers also expressed thanks to all the helpers from Yatton Keynell and beyond who worked hard to make the event a success: Stephen Slade, chief steward; Simon Phillips, assistant steward; Wendy Dash, Cate Dash, Ann & Mike Turner, Barbara Else, Judy Dix, check-in clerks; James Skinner, kitchen supremo; Jayne & Pete Colson, Kev Jones, kitchen assistants; Margaret Dyke, Gillian Parkin, tea and cakes, Dawn Ripley, Tracie Philpot, Fobbvs and YKu5s helping hands for the bar and snack stall; everyone on the heavy gang who set up barriers, tables, straw bales and bunting; Vernon Hughes, Nick Colborne, Sam Perry for creating the new milestone; Mrs Ball, head of Bybrook Valley school, for allowing the school car park to be used; Richard Phillips for putting up direction arrows on Saturday night; Mary Crookall and Corinne Else for taking them down on Monday morning. 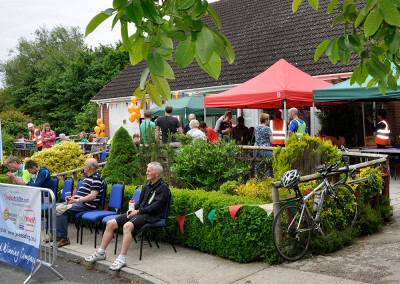 The new HQ and finish line at Yatton Keynell Village Hall proved successful – a more family-friendly location, with plenty of room for picnics and a mammoth game of rounders on the field. 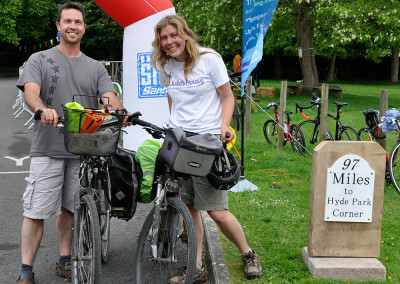 The organisers expressed their thanks to YKRA for the use of all the facilities. 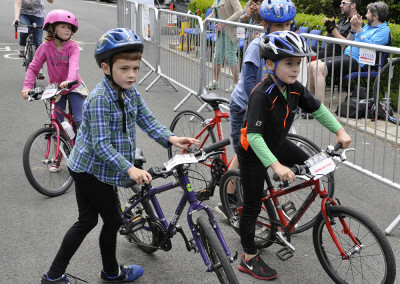 The day ended with some wonderful live music from Henry & Georgia (who’d have thought so many adults would sing along to the theme tune from Frozen?) 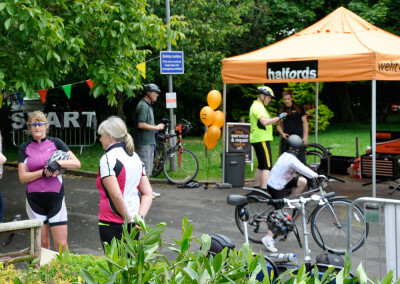 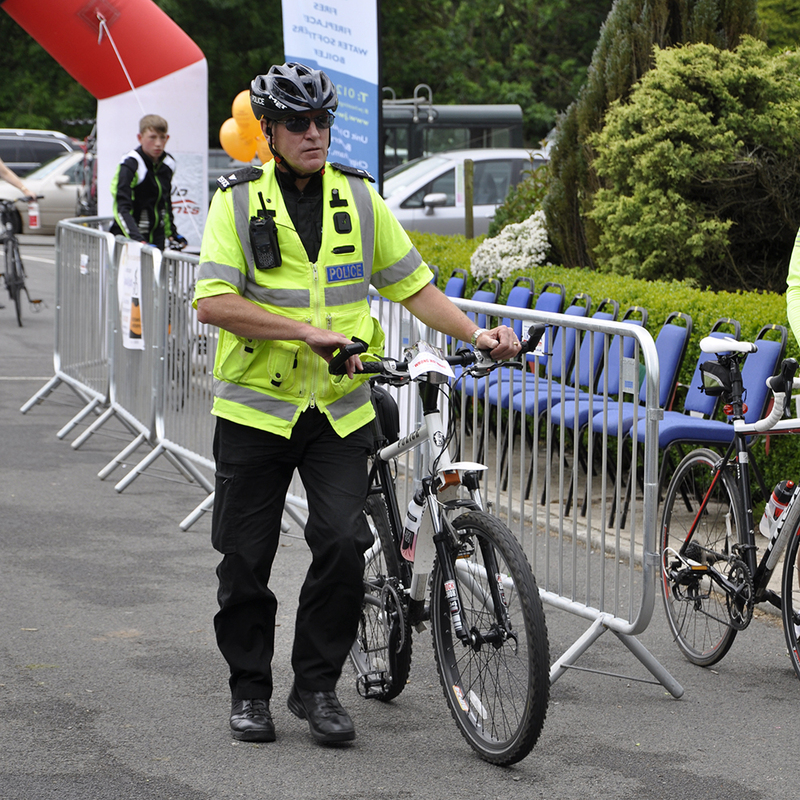 while the cyclists completed their final lap or final miles on the road from London, and spectators enjoyed their final glass of beer or prosecco. 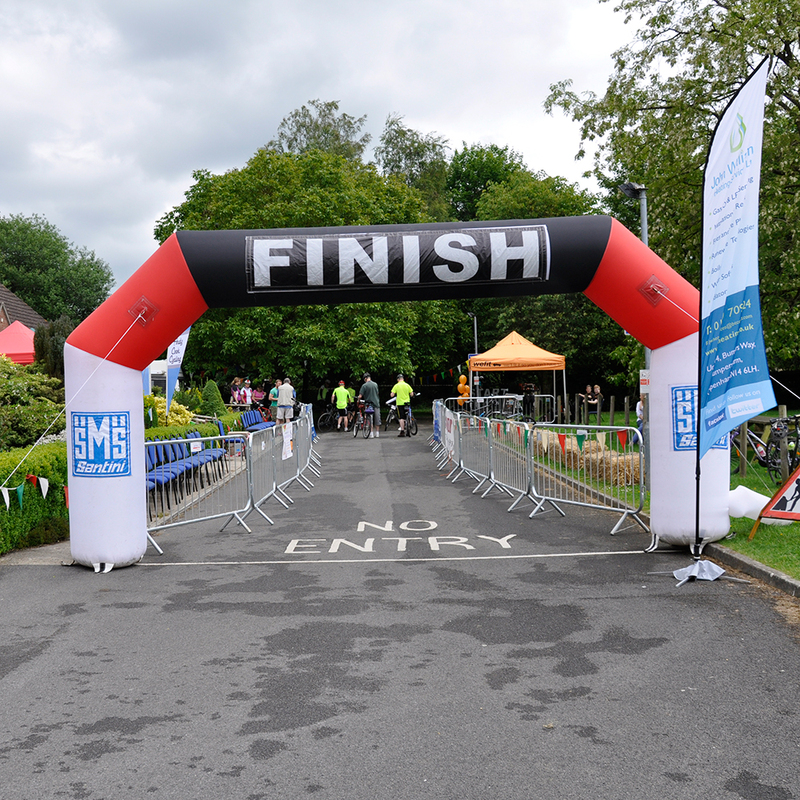 For everyone – riders, spectators and supporters – the Wrong Way Round 2015 was certainly a day to remember.